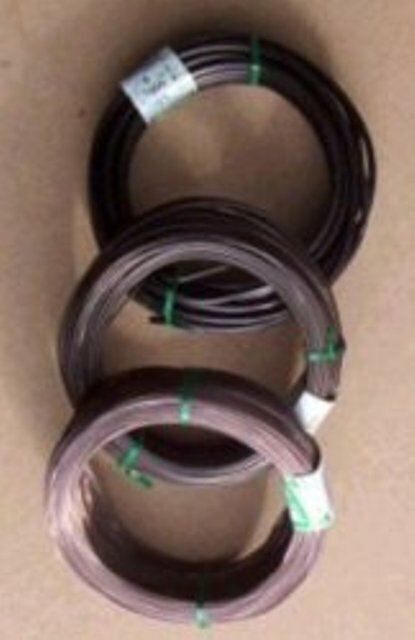 The process of softening aluminium/COPPER WIRE by heating and then allowing to cool before applying to BONSAI>BONSAI. As copper is worked it becomes progressively stiffer. Most copper wire used as a conductor in electrical cables has not been annealed and is relatively stiff. To allow the wire to be used as bonsai wire simply heat with a blowlamp until it is red hot (which happens quite quickly) and allow to cool. The wire will now be much more supple. If you take a piece of the wire and bend it a few times it will become progressively stiffer again. There are 819 published entries in the Bonsai A to Z and the pages have been viewed 3061986 times. You can view all of the items in our Glossary of Bonsai Terms. Help us to increase the number of relevant bonsai terms included in this A to Z of Bonsai Terms. We include manufacturers and dealers in the dictionary, if you are one or know of one not mentioned then just click the link above and add an entry. If you have a favourite bonsai tree not mentioned just add an entry. We are trying to create a unique single free source for all bonsai terms and hope to capture worldwide bonsai terms for bonsai trees, bonsai clubs associations and national collections and the A to Z is free marketing for bonsai businesses and bonsai clubs.